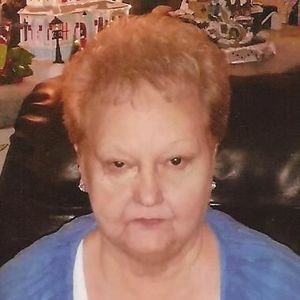 GREENVILLE - Martha Nell Jones, 76, of Greenville, died Wednesday, December 16, 2015, at 8:30PM at Select Specialty Hospital in Evansville. Mrs. Jones was born August 4, 1939, in Muhlenberg County. She was a homemaker and of the Baptist faith. She was preceded in death by her husband, Daniel Jones; and brothers Bobby Rager, Douglas Rager, and Dennis Rager. She is survived by her son, Jeff (Debbie) Jones of Central City; daughter Cindy Jones of Greenville; grandchildren David Tabb, Nathan Jones, and Joshua Jones; great-grandchildren Calen Tabb, Austin Jones, Seth Jones, Derek Elitzer, and Dalton Elitzer; sisters Judy Bellamy of Rochester and Frances (Wendell) Moore of Powderly; brother Jerry Rager of Cleaton; and sister-in-law Patty Rager of Cleaton. Funeral services will be Sunday, December 20, 2015, at 2:00PM at Tucker Funeral Home in Central City, with Rev. Brian Jones officiating. Burial in Cedar Grove Cemetery. Visitation will be Saturday after 5:00PM at the funeral home. Online condolences may be made at www.tuckerfuneralhomes.com. Martha and Dan were our (Levie and Mary Jackson)neighbors when I was growing up in Cleaton. Jeff was very young at that time. She was a wonderful person and a wonderful neighbor to us. To the family, you will be in my prayers during this time of your loss.